Don’t Settle for Underpaid or Denied Roof Damage Claims in Boca Raton! Living in South Florida is great! The weather is almost always perfect and the beach is always only 20 minutes away. 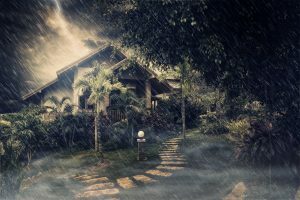 However, Florida does have its share of crazy weather that can cause damage to your roof. We are in the heart of a hurricane zone, meaning any given hurricane season your roof can acquire massive damage. Florida’s Best Public Adjusters can help if you have any roof damage claims in Boca Raton. Most homeowner insurance policies cover roof damage caused by circumstances beyond your control (eg. natural disaster). Some policies consider how old your roof is, and where you live at the time it gets damaged when calculating your coverage value. Some policies simply offer coverage up to the value of the depreciated roof, no matter how old it is. In most cases, the insurance company will have someone come out and look at the damage in order to verify your claim. If they find the damage is caused by regular wear and tear, it will not be covered by your policy, unfortunately. Florida’s Best Public Adjusters can help you with determining your claims. Just give us a call at (561) 715-8986. Replacing a roof can be costly and takes an extensive amount of time. And that’s why you should do what you can to prevent any damages in the future. There will always be natural decay, but you can delay the damage by taking care of your roof. First, get your roof inspected periodically and fix the minor issues before they become major problems. Fix broken shingles and replace loose tiles as they appear. Don’t wait until it becomes a major project. Remove leaves from your gutters and your roof so they don’t pile up, get into your house or even cause damage to your rooftop. Give Florida’s Best Public Adjusters a call today and we can help you with all your roof damage claims needs in Boca Raton. Don’t wait until it’s too late. Give us a call today. We will be more than happy to assist you. We offer entirely free inspections and no upfront costs so there is absolutely no harm in calling and getting our opinion on your roof damage claim in Boca Raton, FL.